Most organizations now report having some level of customer experience measurement program in place. But the majority are still not able to show how the customer experience metrics they collect directly impact business performance or how they are using them to improve customer experience. A recent Forrester survey found that only 33% of employees in product development, 50% in business development and customer service and 48% in digital strategy agree that their companies provide metrics with actionable insights about the customer experience. To take your customer experience measurement program to a level where it starts producing actionable results, you need to measure the right things within the context of the customer journey, and make use of those customer experience metrics in the best way possible so your company can benefit from the insights. In this blog post, I lay down five detailed ways in which you can use the customer experience metrics you collect to take direct actions that improve your customers’ experiences and maximize gain for your organization. A lot of CX professionals will admit to measuring customer experience but taking no concrete action from the data collected. Net Promoter Score® (NPS®), in particular, has gained a lot of prominence in the last decade. Yet at the end of the day, the act of capturing NPS alone will not magically solve your customer experience problems. Map customer experience metrics into your customer’s profile to equip your support team to answer questions knowing exactly how each customer feels about your business at that point in their journey. This will help your support team to personalize each interaction, move NPS detractors and passives to promoters, and keep promoters happy. Use a predetermined Net Promoter Score as a go/no-go threshold when deciding to launch either a new product or a new feature within an existing product. Release a beta version and track the NPS for it. Release the full version to the market once you achieve your target NPS. NPS can guide your product roadmap as an input for prioritization of new features and other potential product improvements, so that they are better aligned with customer requirements. Net Promoter Score can help product development teams most when it is followed by deeper research into the scores. Customers especially respond well when it’s made clear that the request for further feedback is coming from the product team, rather than from sales, marketing or customer service. Include a question about unmet needs during your VoC data collection process to uncover a range of opportunities for the product team, such as improvements to boost product usability, features to differentiate your product from competition, and suggestions for complementary products and services. Use Customer Effort Score (CES) to determine the effort required during the onboarding process (which is the journey point at which customers are most likely to churn). 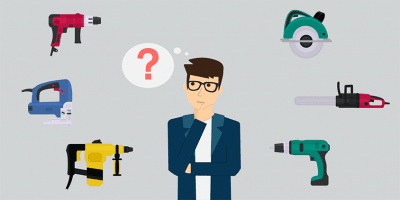 Your Customer Effort Score will tell you how easy your onboarding process is. Over time, as you work to simplify and ease your onboarding process, track the customer effort score to make sure that it continues to improve. 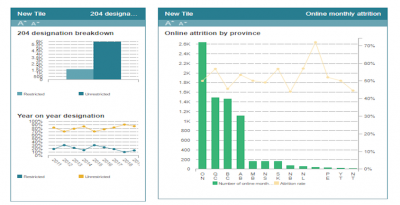 Use happy customers from VoC data or Promoters from NPS surveys to talk about your product. If you have provided exceptional value, customers are willing to give good reviews, talk about your service to friends and family members, participate in a testimonial, quote or video and even be willing to buy another product or upgrade to a higher version. Once you have identified your high-value promoters, you can conduct a detailed spend analysis to determine their spending pattern as it relates to product category, seasonality, average spend, demographic distribution etc. 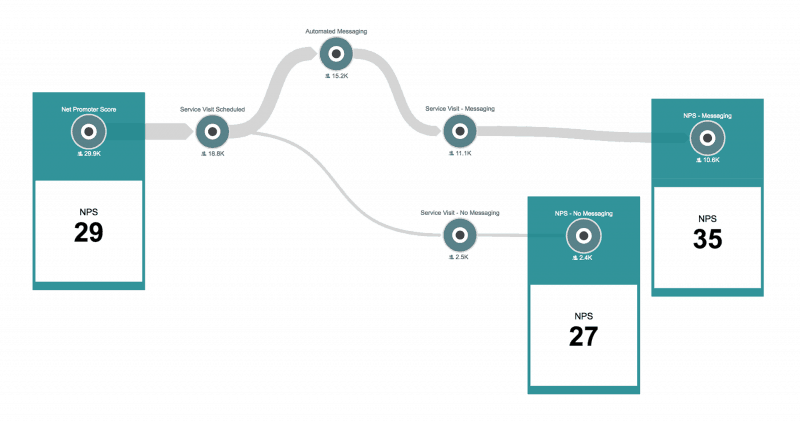 Use customer journey analytics to quickly reveal the connection between revenue and NPS scores within the context of customer journeys. While focusing on your happy customers is important, it is also vital to ‘close the loop’ with your dissatisfied customers. 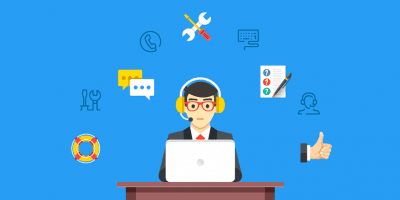 Make sure your frontline customer service representatives are empowered to act upon real-time feedback and take quick action on the information they get. A good customer experience measurement process should include the tool set needed for triggering action in the event of a poor customer interaction taking place. This will go a long way towards reducing customer churn. To be able to use the customer experience metrics you have collected in a manner that is systematic, efficient and comprehensive, it is important to employ a journey-driven approach. After all the resources you have put in measuring customer experience, customer journey analytics is critical to elevate your measurement program and take it to the next level. Using a journey-based approach helps you identify the right customer experience metric to use at the right point in the customer journey. A lot of companies have a tendency to capture and analyze their metrics, typically NPS or CSAT, as a single value across the entire customer journey. However, this single metric approach is really problematic, as customer needs and experiences can vary dramatically across individual journeys. Recently, I called the customer care center of an online shoe retailer as I was experiencing a delay in the delivery of my kid’s shoes. The service representative was able to successfully resolve the issue and promised that I would receive the pair of shoes without any further delay. The call was handled professionally and courteously. Before hanging up, the service representative asked me if I would recommend the online retailer to a friend or colleague (a standard question to measure Net Promoter Score). But I had not even received the shoe yet, and my kid had not had a chance to use the product. All I had was a satisfactory customer experience. What I experienced is a classic case of poor alignment of customer experience measurement with the customer journey. To get better results, you should first discover end-to-end customer journeys before you pick the most appropriate metric to use at a given interaction. All customers don’t behave the same way nor do they have an equal impact on your revenue. Since your resources are not unlimited and you cannot measure every interaction, use customer journey analytics to prioritize measurement of high-impact customer journeys and customer experiences. According to Forrester, Charles Schwab used journey analytics to identify critical journeys where the client relationship was at risk, such as onboarding, providing a mortgage and portfolio reviews. 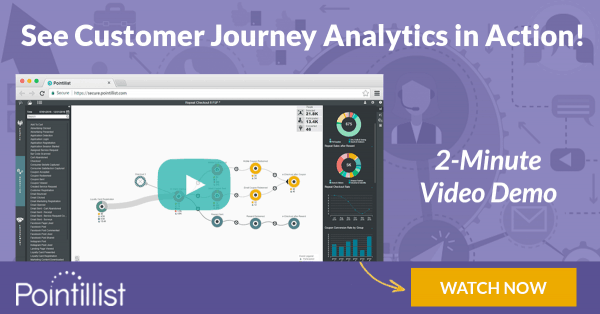 Journey analytics helps divide your customers into individual segments beyond demographics. Customer experience teams should use this insight to steer measurement towards customer segments with high profitability, high growth potential, high influence in target marketplace, etc. Customer journey analytics can also segment customers based on their pattern of behavior and interaction with your company. This is known as behavioral segmentation and is further categorized into several different types. Different customer segments have different expectations and often entirely different customer journeys; hence they require different customer experience metrics. A good example of customer experience measurement based on customer segmentation can be found in the US health insurance industry where many providers focus on measuring the experience of self-insured customer, as that segment has high growth potential. Other insurers focus on measuring the customer experience of healthy customers, as they are the most profitable segment and their continued enrollment is essential for maintaining revenue. Making your customer experience measurement process short and easy is a typical goal for most customer experience teams. But equally important is reaching out to customers at the optimal time through their preferred channel. 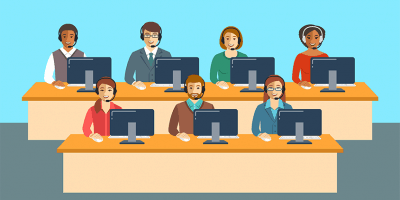 Say you want to capture feedback after a customer calls into your call center. To do this, you are likely to pass the customer on to a VoC platform to capture their feedback at the end of the call. But this may not be the best way for the customer who has already been on the line with an agent for over ten minutes and wants nothing more than to hang up. Maybe an SMS or a brief email would produce a better result. Before you act, use customer journey analytics to discover your customers’ preferred channels for engagement. A customer journey analytics platform can trigger engagement at any point in the customer journey through your existing martech stack. This way you never have to leave the environment to set up an interaction and the whole process can be automated. 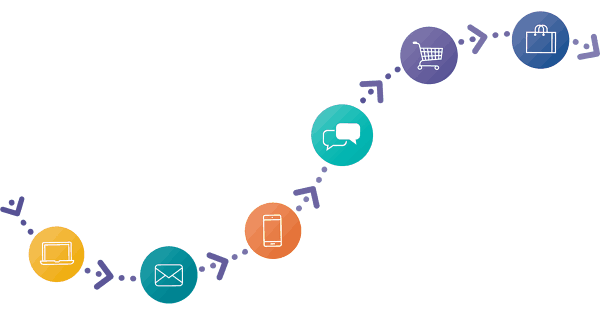 Using customer journey analytics, you can discover these important interaction points and only prompt customers for feedback at those points in their individual journeys. To make a customer experience metric actionable, it is essential to discover the underlying customer sentiment or behavior driving the score within the context of the customer journey, so that you can determine the ‘why’ behind the score. With customer journey analytics, you can make NPS and other customer experience metrics actionable by discovering high-impact customer journeys that move the metrics in a positive or negative direction over the course of time. 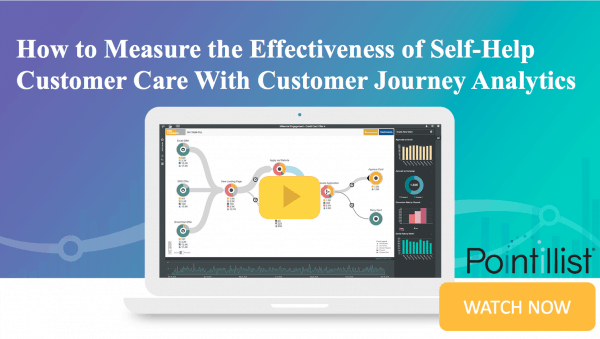 Sophisticated customer journey analytics platforms employ artificial intelligence to improve customer experience by rapidly sifting through billions of data points and finding every relationship in the data that exists. AI can enable you to determine the precise factors that influence those scores—e.g. which customer interactions had the highest impact on the metrics over time—within the context of your customers’ actual journeys. AI allows you to focus your time on evaluating insights and deciding which ones to act on first, rather than endlessly exploring the data you collected. A top 5 US telecommunications provider made a significant investment in automated customer messaging to improve Net Promoter Score and increase Customer Lifetime Value. Their existing tools were unable to accurately attribute and measure the impact of the new customer messaging system. They used customer journey analytics to measure how automated messaging influenced customer behavior and customer experience metrics, particularly NPS. After a quick integration of data sources, including VoC surveys and mobile messages, the CX team used customer journey analytics to visualize specific customer journeys of interest and test the effect of messaging on NPS within a specific customer care journey that included truck rolls (i.e. on-site service visits) and product activations. 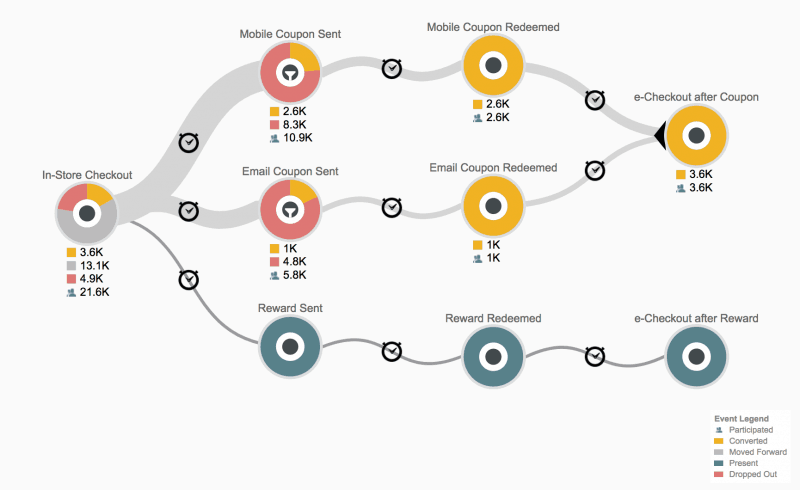 Within 2 weeks of data integration with the customer journey analytics platform, the team was able to attribute and quantify an increase in NPS as a result of the automated messaging. For the first time ever, they had the ‘why’ behind their customer experience metric. Now they plan to increase investment in automated messaging and roll it out for broader use across other customer segments and geographies. An important step you can take to use your customer experience metrics and make them actionable is to start linking them to your overall organizational KPIs. 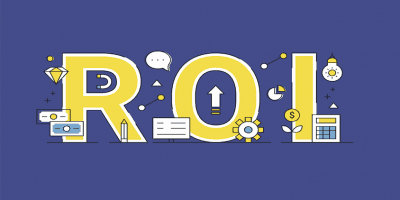 Choose KPIs that are well-known and accepted throughout the organization, resonate with executives and are hard, quantitative metrics like revenue, sales growth, churn and acquisition. By linking your customer experience metrics to these, you will quickly build visibility and alignment for customer experience measurement within your company. The way to link a customer experience metric to an important organizational KPI is to show a direct relationship between the two. Customer journey analytics can provide a quantitative link between customer experience and hard metrics like revenue or profitability. The right measurements will help you evaluate your customers’ experiences at every touchpoint, as well as the impact those touchpoint experiences have on your business. If the customer’s experience changes, either positively or otherwise, you need to know about it. And you want to understand what impact those changes are having on the KPIs that drive your business. The manner in which you use the data you have collected and share the insights internally will go a long way in determining whether your customer experience measurement program is a success and is poised for growth. 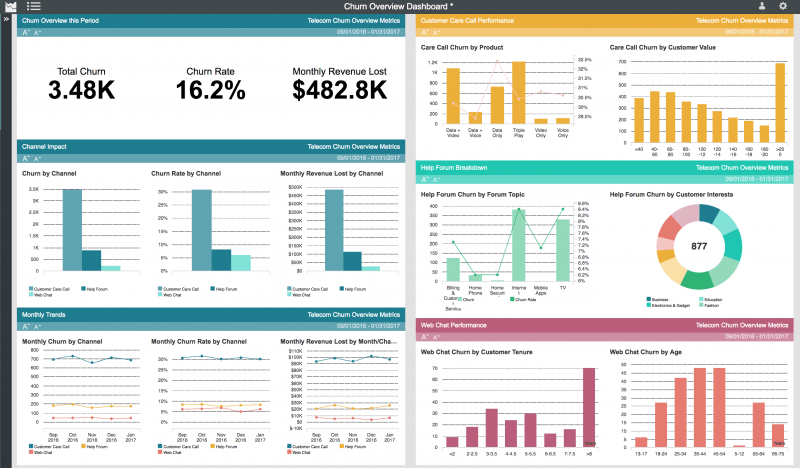 To keep stakeholders and employees engaged, present customer experience metrics in a consolidated visual, interactive dashboard that presents the metrics in real-time and monitors them over time. 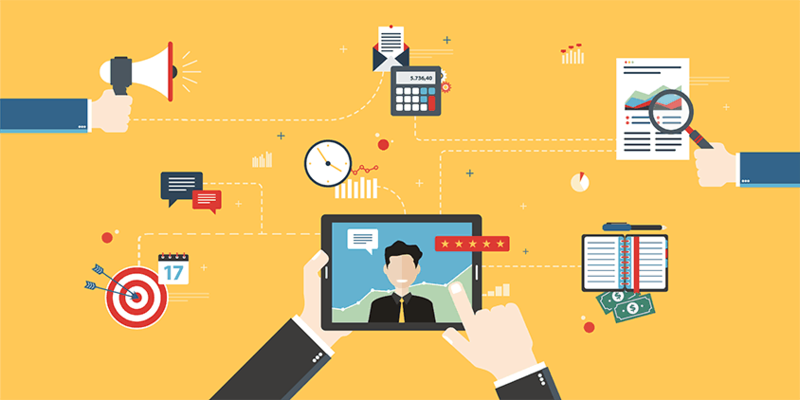 Avoid focusing only on one top-level customer experience metric, such as CSAT or NPS. Although senior executives usually prefer to use only one or two metrics to summarize whole of the customer experience, that approach does not show where to focus efforts to bring about improvement. Finally, make sure the metrics are linked to key customer journeys. Investment firm Vanguard has created a customer feedback management platform that sends alerts to designated employees as soon as an important customer has filled out an NPS survey. UK-based retailer Homebase pushes out feedback alerts in real-time via a mobile app to frontline staff so that they can address complaints immediately. The feedback is not filtered through management and is placed directly in the hands of the frontline staff. 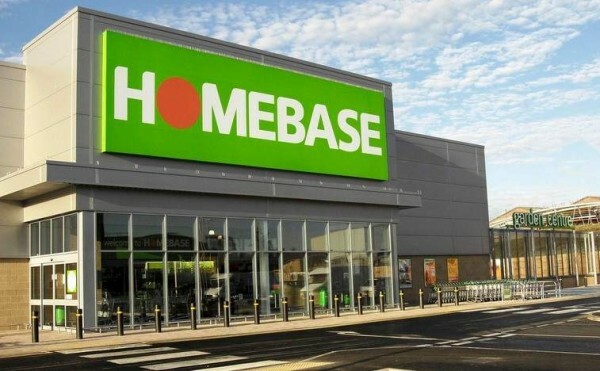 This proactive move has helped Homebase increase CSAT by 3 percentage points year over year. In large enterprises, customer experience measurement typically begins with one or two business units and a few select customer segments. Once you have successfully demonstrated how to use the customer experience metrics you have collected, the scope and scale of the measurement program can be elevated by rolling it out to more business units and expanding it to larger customer segments. Ensure that the metrics you choose continue to tie back to the organization’s larger business goals. Make metrics relevant for business units by identifying and sharing how a particular business unit contributes to a metric within the context of the overall customer journey. This will help increase the level of visibility and engagement of your customer experience measurement program. Once you have analyzed the data collected, there will likely be opportunities for quick wins—visible problems that are easy to fix, quick to complete and with clear benefits. Start by working on those immediately, as they can help elevate the visibility of the customer experience measurement program. There will also be other issues that require a deeper understanding, more research and are long-term priorities. Get the relevant stakeholders involved, start planning and documenting these long-term issues so that you can build a case for the required investment. Employ the detailed methods described in this post to use the customer experience metrics you collect to take direct action that will maximize benefits for your organization, improve experience for your customers’, take customer experience measurement to the next level, share insights with your colleagues and make your organization more customer-centric.